Vacation. That truly wonderful time when you can relax and enjoy yourself, that is, unless you are stressing about your business. You would like to think that taking a vacation is easy. Just pack and go, however, if you are a small business owner, there is much more involved. Research shows that many small business owners either do not take a vacation or fail to disconnect from their business. This is not allowing yourself a chance to recharge. Vacations allow you to recharge and in the long run, make you more effective as an entrepreneur upon your return to work. Over the years I have discovered many ways to help alleviate some of the stress that accompanies preparing for vacation and getting back to work. Here are five tips that I’ve found helpful. 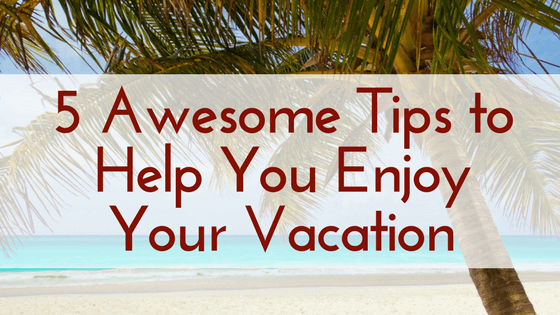 The key to a wonderful, restful vacation starts with planning well ahead of time. Begin by deciding who will cover for you in your absence. Let clients know that you will be gone and gather necessary information from them early. Review your schedule for the time you will be gone and the first week of your return to work. Don’t schedule any major project the first few days back to work. If you do, this will be on your mind during your time off. Oftentimes, you need to schedule vacations around school holidays, other schedules or outside conflicts, however, if possible, try and schedule your time off during your slow season. This can make your stress levels very manageable. Email, telephone, and laptops are wonderful things to have, but not on vacation! If you absolutely cannot get away from keeping in touch, plan to limit your time with them. Most “emergencies” can wait for your return. Get your autoresponder message ready to return emails. 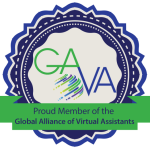 Plan your voicemail message and if needed, hire a virtual assistant. Scheduling time on your calendar to check email, respond to calls and catch up on events that occurred in your absence takes time and energy. Blocking off this time to deal with these items will make life less stressful and you more effective. You just finished relaxing on vacation, you don’t need to spend your first day losing the benefits. Plan your first few days with some flexibility to enable you and your clients to get back in the grove of work. Remember, a vacation is truly important to maintain your work-life balance. Owning a small business doesn’t mean that you can’t take time off, you just need to plan for it. Come back and feel refreshed and recharged. You will find your focus improved and your energy increased.